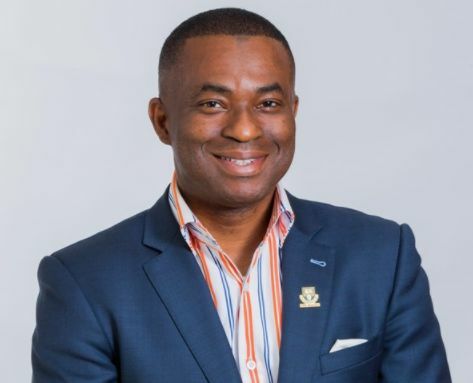 Dr. John Olurotimi Badero is the amazing Nigerian Doctor who's the only combined Heart & Kidney Specialist in the world. He has made Nigeria proud after his recognition as the only fully trained and board certified cardio-nephrologist (combined kidney and heart specialist) in the world today. Dr. Badero is the Executive Director of Cardiac Renal & Vascular Associates, the Medical Director of St. Joseph Hospice, and he is on the global Advisory Board of the therapeutics experts on Thrombosis and Atherosclerosis, Merck Pharmaceuticals U.S.A.
Badero who resides in the United States was born the seventh of nine children to Chief Eliab Olufemi Olujoye Badero and Stella Taiwo Badero and raised in Lagos and Ogun states, Nigeria. Badero attended St. Mary’s Private School Lagos for his primary school education. He received his secondary school education at Federal Government College Odogbolu, Ogun State. He was admitted to the Medical School at Obafemi Awolowo University, Ile-Ife, Osun State. Following medical school, he completed his internship year at Obafemi Awolowo University Teaching Hospitals Complex at Ile-Ife. He worked at General Hospital Isolo in Lagos to fulfill his one-year service requirement with the National Youth Service Corps. 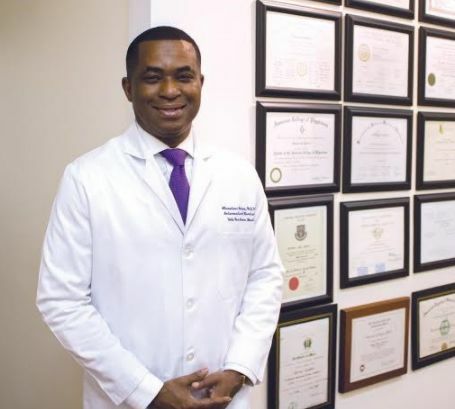 After this, he relocated to the United States where he completed three years of internal medicine residency training at SUNY Downstate Medical Center. Following this, he attended the Yale School of Medicine where he completed a fellowship in invasive & interventional cardiology and another in peripheral vascular intervention. Badero then returned to SUNY Downstate for a year of fellowship training in interventional nephrology and dialysis access intervention. 6. Invasive & Interventional Cardiology. He performed the first transradial cardiac catheterization and coronary angioplasty at Central Mississippi Medical Center. – The Association of Black Cardiologists scholarship award for the Best Cardiology Fellow in the U.S.
– The 2014 Mississippi Healthcare Heroes in the state of Mississippi. – He was also named one of Jackson, Mississippi’s Best Surgeons. Dr. Badero has authored many peer reviewed journals and he is currently on the editorial board of the International Journal of Nephrology & Renovascular Disease. 4. Fellow of the Society for Cardiac Angiography & Interventions. Badero is the assistant pastor at the Redeemed Christian Church of God, Vine Chapel Church in Mississippi. He is currently unmarried.